Rate This Thread - Yakyuuken Special [NTSC-J]. 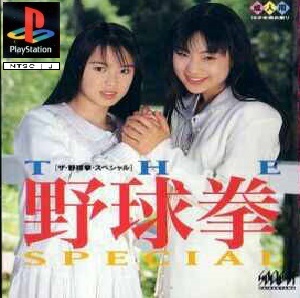 The Yakyuken Special is a Japanese game for the Sega Saturn by Societa Daikanyama. 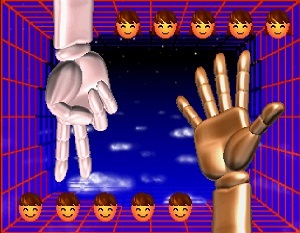 The gameplay involves playing games of rock, paper, scissors or Janken-Pon against 12 Japanese women, which are portrayed through the use of FMV. Each round of rock, paper, scissors allows the player five chances to win. Each time the player wins a round, the opponent will strip a piece of her clothing, which varies depending on the opponent. The game engine makes it difficult to win because there is less than a 50% chance of winning in any given round, thus it is very difficult for a player to strip the opponent of all of her clothing, even with five chances per round. Disc 1-2 in 6-6 girl. Can you find Sega Saturn's version? Thank's !!!! Thanks but this is CD1. Last edited by branufox; 01-02-2019 at 11:36. Last edited by branufox; 01-02-2019 at 18:05. Last edited by branufox; 07-02-2019 at 07:34.